SINGAPORE, October 14, 2014 – Brazil striker Neymar gave a masterclass in finishing on Tuesday, scoring all four goals as Brazil beat Japan 4-0 in Singapore. It was always going to be tough for Javier Aguirre’s team against a strong Brazil lineup, but the Mexican manager fielded a very experimental team with only two regulars – striker Shinji Okazaki and goalkeeper Eiji Kawashima – in his lineup. Early signs were good but on a simply dreadful pitch at Singapore’s national stadium, it was never going to be easy and Japan weren’t helped by some poor defending from Taishi Taguchi, who had a terrible game. 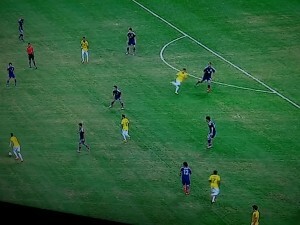 Neymar was into his stride early, claiming a penalty in the first few minutes and then forcing a foul as three Japanese defenders struggled to contain him. Neymar sent the free-kick against the post from 20 meters, delaying his inevitable appearance on the scoresheet. That came soon enough. 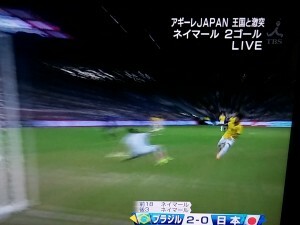 In the 21st minute, Neymar escaped the dozy defending of the Japanese backline, took the ball wide of Kawashima and drilled a shot into the roof of the net. Japan had their chances but struggled to find the target. Kobayashi saw a neat 10-meter volley flash past the post in the 24th minute, a strong shot from Gaku Shibasaki flew over the bar six minutes later and Okazaki sent a glancing header wide five minutes after that. 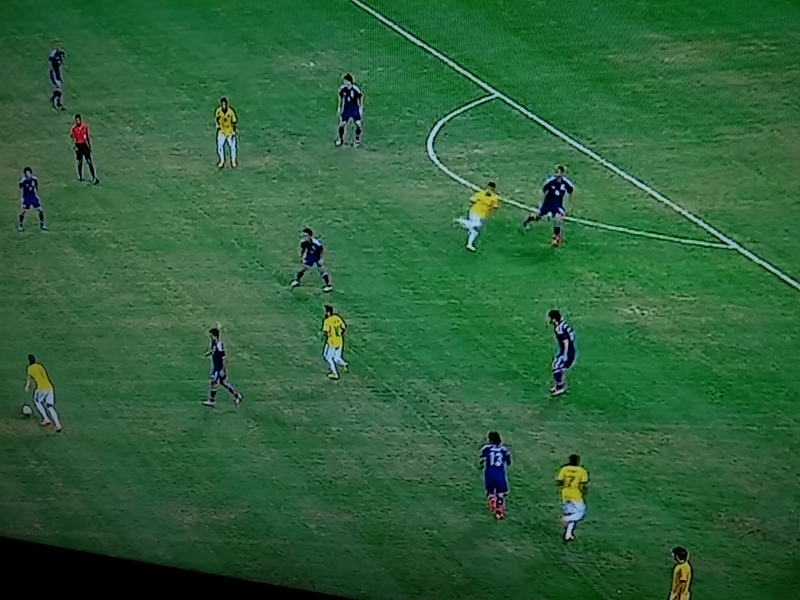 A Junya Tanaka half-chance was desperately cleared by Brazil just before halftime, but defender Shiotani didn’t have the composure to put the rebound on target, allowing Brazil to go into the break 1-0 ahead. Aguirre brought on Keisuke Honda for largely anonymous Ryota Morioka at halftime, but the first action of the second half saw Brazil go 2-0 up. 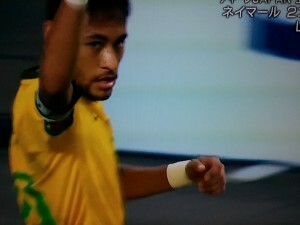 More useless defending by Taguchi allowed Neymar a free run at goal and he calmly slid the ball past Kawashima. Kawashima made up for that with a great save from Miranda, and Okazaki hit the post from a tight angle before Neymar proved he was human and missed an easy chance with just the goal to beat. Substitutes Coutinho and Robinho also spurred good chances after being set up by Neymar and in the end Brazil’s superstar had to do the hard work himself. In the 77th minute, Kawashima made a fine save from a Kaka header and then turned away a shot by Coutinho, but the ball ran to Neymar who had an easy finish from close range for his hat trick. But he wasn’t finished. Brazil swept up the field in the 81st minute and Kaka lifted the ball to the back post for the unmarked Neymar to head in No. 4. 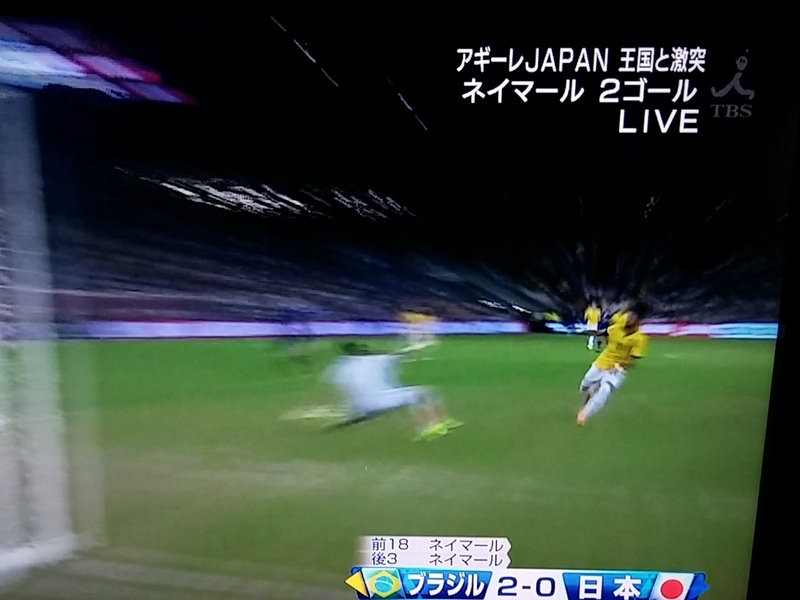 Japan fought a little harder in the dying minutes and Yoichiro Kakitani got a great head on Kosuke Ota’s cross in the 89th minute only to see it tipped over by Brazil keeper Jefferson. The result was not much of a surprise but the gap between the major footballing powers and Japan remains big. Aguirre reckons his players play with passion, but who’s he trying to kid? The likes of Shibasaki, Kakitani and Taguchi (not to mention Atsuto Uchida and Yuto Nagatomo) have all the passion of Japanese schoolboys. 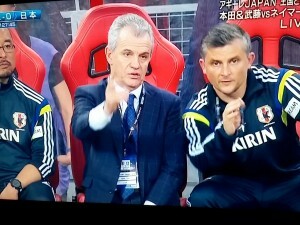 Japan have an attitude problem, i.e., they don’t have one. Aguirre needs to pump his players up, not blow smoke up their arse. Enough of the Zicos and Zaccheronis; Japan need a boss with anger. Get angry, Javier…. This entry was posted on Tuesday, October 14th, 2014 at 10:38 pmand is filed under . You can follow any responses to this entry through the RSS 2.0 feed. You can leave a response, or trackback from your own site.